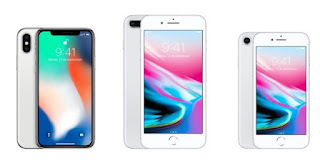 In a market in which the current trend is to have the mobile with the largest screen and at the same time, that is light and ergonomic , it is not surprising that we find screen ratios of the most varied. Thus, the flagship of Samsung, Apple or LG differ in this parameter that relates the length with the width of the screen. Normally, it goes from the traditional 16: 9 to 18.5: 9 (Galaxy S8), 19.5: 9 ( iPhone X ) or even the 2: 1 end of the LG V30. And the same can be said within Apple: the iPhone 8, iPhone 8 Plus or iPhone X have different ratios. It seems silly but it is not. And, what is the use of having a very large diagonal at the expense of a terminal that is still narrow? In landscape it can be useful, but the interfaces of the apps are not so useful. Hence, many prefer the iPhone 8 Plus with respect to the iPhone X , Apple's flagship may have the largest screen, but between the notch and its ratio, it is much less functional than the iPhone 8 Plus. In fact, many long for an iPhone X plus that allows them to enjoy more OLED display with other dimensions. 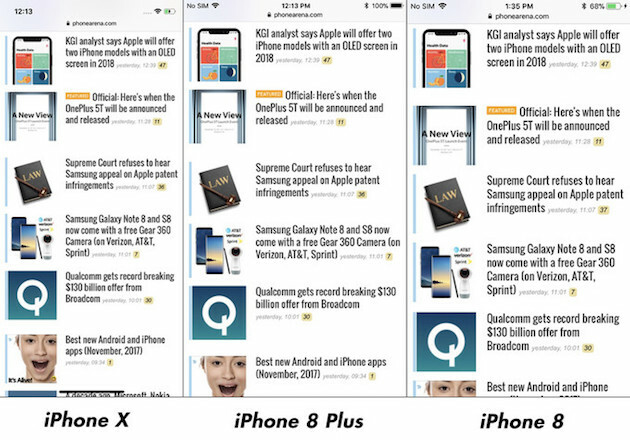 In short, could be summarized in two trends: the classic 16: 9 or the new, which more or less share iPhone X and Galaxy S8, 18: 9, that is, the long and narrow mobile . Taking into account the weight of both brands in the market, it is quite likely that during the next months we will continue to see increasingly stylized mobiles. Here you can see the differences of the interfaces of the iPhone 8 vs that of the iPhone X. While with the 8 series all apps and videos are compatible, in the iPhone X they have to be adapted and occupy more lines. At the moment, most of the apps on iPhone X look pretty regular . The advantage of 2: 1 (or 18.5: 9 or 19.5: 9) is that there is more content on the same screen, especially in terms of text , because YouTube videos are narrowed if you see them vertically. That is, although there is more screen, in general it is less useful. Also, it is much more ergonomic when it comes to using it and carrying it in your hand. Which one do you like the most?